What’s the magic behind Norwich and its Olympic skiers? Is there a secret group of ski coaches hiding in the woods at the top of Elm Street? Are ski jumping classes a requirement at the Marion Cross School? Or is there a magic elixir in the town’s maple syrup? What else could explain the abundance of Olympic athletes who have come from this small Vermont town during the last sixty years? 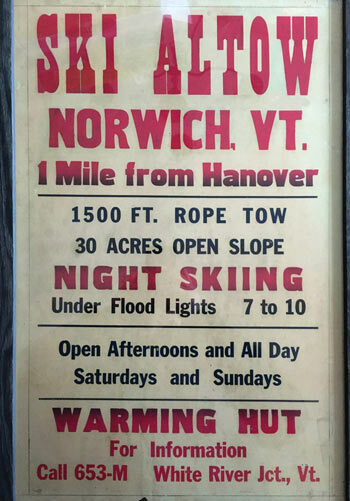 For starters, if you lived in Norwich in the 1930s, you really weren’t far from the center of a skiing revolution. It all began in 1934 with ‘Bunny’ Bertram, a 1931 Dartmouth graduate who captained the first Dartmouth ski team. He made history on a hillside pasture just north of Woodstock, Vermont when he rigged up “an endless rope tow, powered by a Model T Ford engine.” Prior to this time, once a skier got to the bottom of the hill, they had to hike back up the slope for the next run. 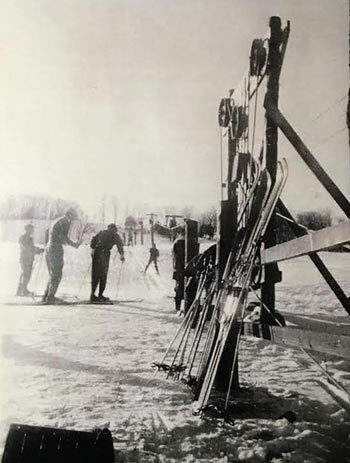 “The ingenious contraption,” states the historical marker at the site, “launched a new era in winter sports.” Closer to Norwich, the original ski ‘lift’ in the country was developed at Hanover’s Oak Hill in 1935. The J-Bar ran successfully for more that 40 years, while Bertram’s rope tow lasted for just a year before he moved his operation over the hill and set up what became Suicide Six. While the rope tows and J-Bars made the sport more accessible, especially to children, learning how to ski properly was still a challenge. Enter Ford K. Sayre. Ford learned to ski at Dartmouth and directed the Winter Carnival in 1933 when he was a senior. That same year, on a joint Dartmouth/Smith College trip to Mt. Moosilauke, Ford met his future wife, Peggy. The couple married in 1933, and managed the Moosilauke Lodge until 1936 when he became the manager of the Hanover Inn. At the Inn, he offered free ski lessons to children of guests and to kids in the neighboring towns. According to an article in the Dartmouth Alumni Magazine in the fall of 1944, Ford realized that during the Depression years, many children in the area, “particularly in the outlying communities, could not afford adequate equipment and instruction in skiing.” Ford rounded up usable second-hand equipment and had it repaired and distributed to children who needed skis. He also spent “many weekends teaching skiing to the children of Etna, Norwich, and other communities.” In 1942, Ford enlisted in the Army Air Corps while Peggy continued to run the learn-to-ski program. In July of 1944, Ford was killed in a mid-air collision during an air show in Spokane, Washington. Rather than send flowers, a friend suggested that money be donated in Ford’s name to keep the ski school thriving. The demand for the program grew and a community Junior Ski Council was formed to assist Peggy. In 1950, the JSC and the Ford Sayre Memorial Fund merged into the Ford K. Sayre Memorial Ski Council. As a grade-school student, Bill Aldrich, another longtime Norwich resident, helped sell hot chocolate in the warming hut at the base of the hill, and also operated the rope tow once the adults had fired up the engine. “We would watch the towline for ‘fall offs’ and put the engine in neutral until it was all clear.” Altow ran 1,500 feet from top to bottom and, according to Aldrich, “It would take 3-5 minutes to shush it on a brisk day and maybe 5-7 minutes to ride up.” It cost .50¢ for a half day of skiing and the Ford Sayre Ski School charged $1.50 per winter for ski instruction. No races were held at Altow, but the town’s children learned the basics of skiing on the little run. Altow opened in the late 1940s, and by the 1950s had installed lights for night skiing. 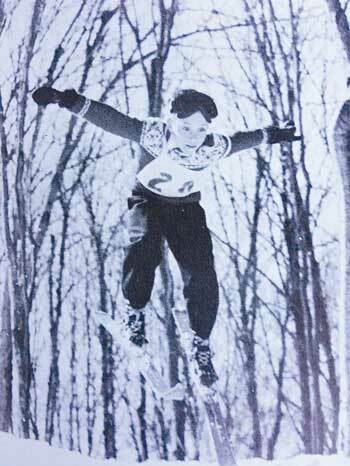 Aldrich remembered on night skis, “It was a beautiful scene to look over the town area from the top.” In the early 1950s, the neighboring cemetery spread across the hill, and the Altow Ski Area had to close. Albert and Elizabeth Snite owned the Altow hill and offered free use of the area to the town. Their daughter Betsy took full advantage of the area. Bill Aldrich remembers her training at Altow in the warmer months. “Betsy ‘ran’ up and down Altow three times per day and to the very top, not the first knoll! After that, she jogged 3-5 miles and finished by doing the hill again!” In the winter, she skied every day. 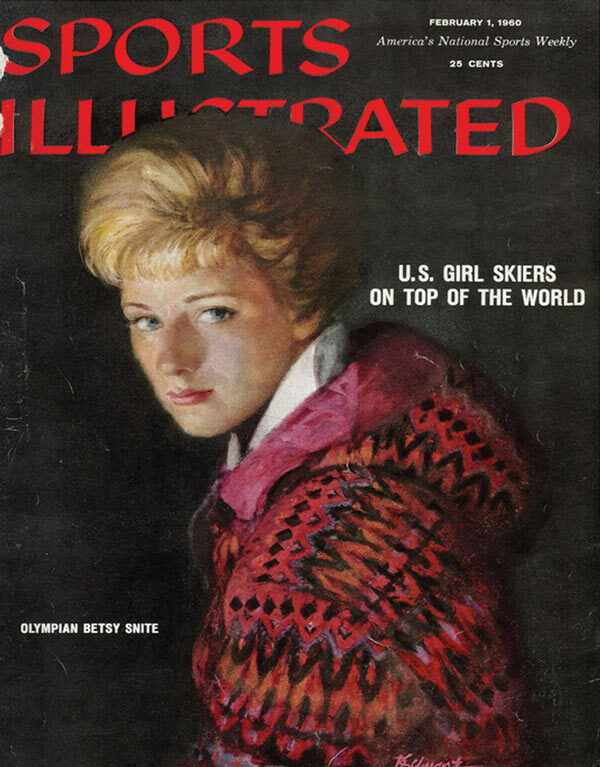 According to Jerry Hickson, Snite’s first Ford Sayre ski instructor, “She was about nine years old and quite eager to ski. Later, when she was in high school, she didn’t race in Ford Sayre races because she was too good, but trained with the Dartmouth ski team.” Betsy kept getting better. She competed in the 1956 Winter Olympics at the age of seventeen. Four years later she won the silver medal in women’s slalom in the 1960 Winter Olympics at Squaw Valley, California. She made the cover of Sports Illustrated and became the first Olympic medalist from Norwich, Vermont. Among those who began their skiing and jumping career in Norwich was Jeff Hastings, who competed at the 1984 Olympic Games and finished fourth on the large hill, placing just 2/10ths of a point out of the medals. A neighbor of Hastings was another jumper, Mike Holland. He competed in the 1984 and 1988 Winter Olympics. In 1985 he held the world distance jumping record for 27 minutes before a Finnish jumper passed his mark by one meter. Mike’s brother Joe was the “leading U.S. Nordic combined skier in the late 1980s and early 1990s” and appeared in the 1988 and 1992 Winter Olympics. Not to be outdone, the youngest Holland, Jim, was a ski jumper in the 1992 and 1994 Winter Olympics. Felix McGrath, another Norwich native, was an alpine skier in the 1988 Olympics. Tim Tetreault, who was raised in Norwich, competed in the Nordic Combined in three Olympics during the 1990s. The list goes on and on. 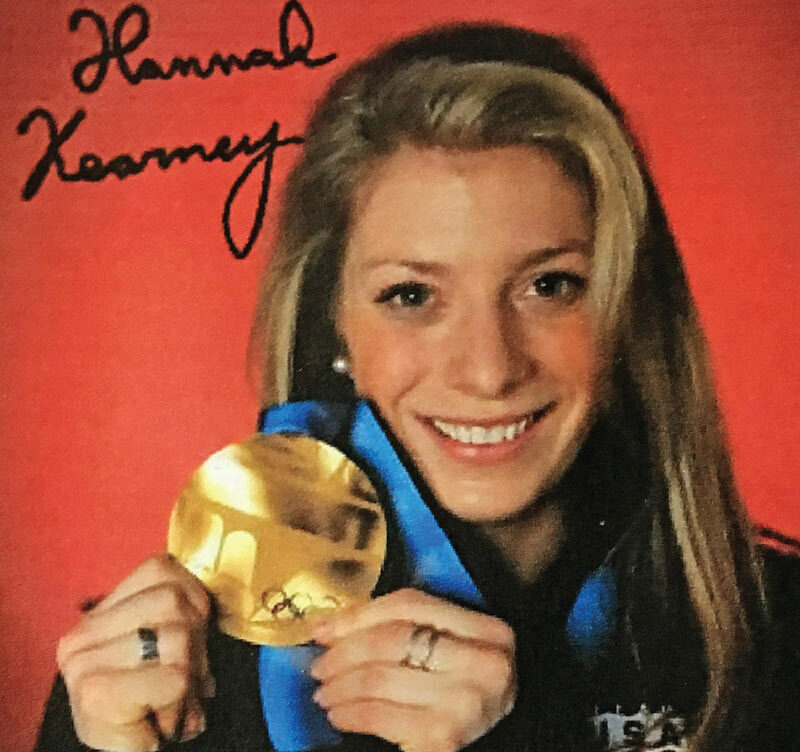 In all, Norwich has produced 11 Olympians, highlighted most recently by Hannah Kearney, who brought home a gold medal from the 2010 Vancouver Olympics where she won the women’s moguls event. 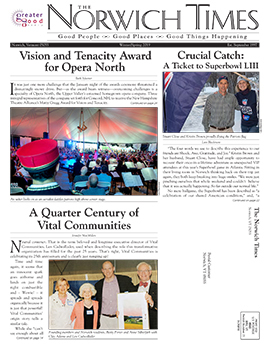 Articles in The Valley News and The New York Times and a new book, Norwich: One Tiny Vermont Town’s Secret to Happiness and Excellence have recently appeared about Norwich and its abundance of world class winter athletes. The writers have searched for answers to the town’s success in winter sports. And the answers seem elusive. But if you follow the threads, the one thing the athletes have in common is the Ford Sayre program. Hannah Kearney started skiing when she was two and when she reached first grade enrolled in Ford Sayre program. Betsy Snite had a Ford Sayre coach at Altow, the Holland brothers soared at Sample’s Jump and Oak Hill under the watchful eye of David Bradley or another Ford Sayer instructor. Buff McLaughry, a jumping mentor in the Ford Sayer program for 23 years, coached Jim Holland. Whether they started at Altow or the Dartmouth Skiway, Sample’s Jump or Oak Hill, so many young people, whether they went on to be Olympic or recreational skiers, at one time had a volunteer Ford Sayre coach who made skiing exciting, and – most importantly – fun. Drop by the Norwich Public Library in February to see the Norwich Historical Society’s exhibit on winter sports and the Olympics.